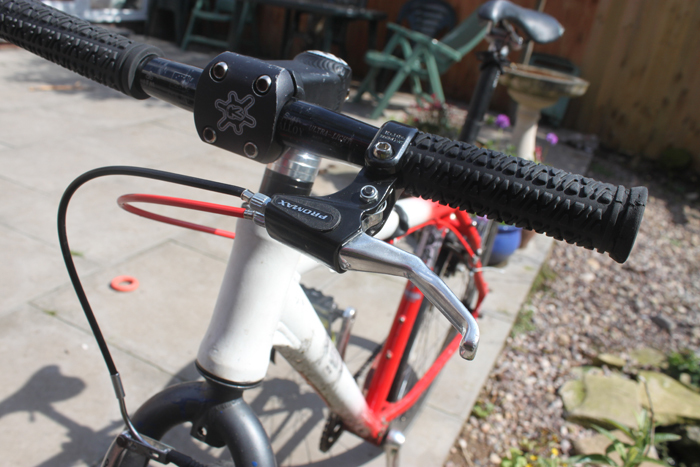 Bike Check – Matt | Birmingham Hardcourt Bike Polo, UK. I started playing polo back in November 2010. I was riding a cheap fixed gear at the time, so started playing on this. 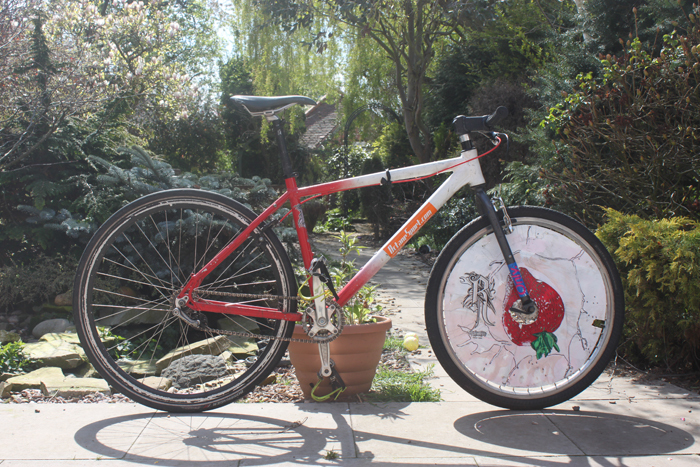 I eventually converted into a polo bike with correct gearing, wheel cover and a front brake, and played AWESOME fixed polo until the bike (and fixed polo) died around the time of the 2011 London Open last July. 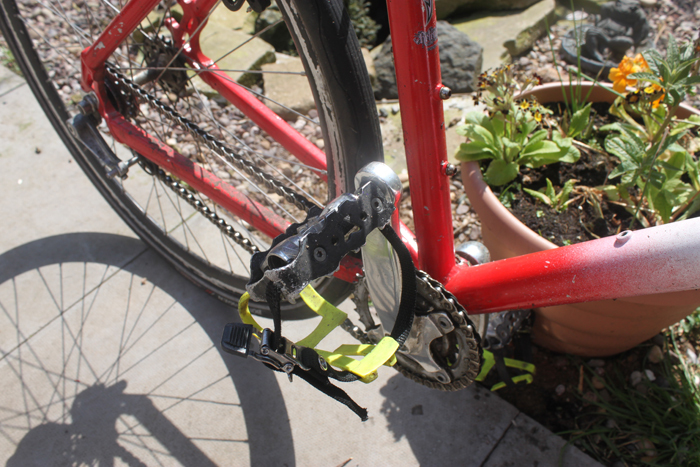 I then played on a rusty frame for a while (still fixed) as I waited to put together my first freewheel polo bike. 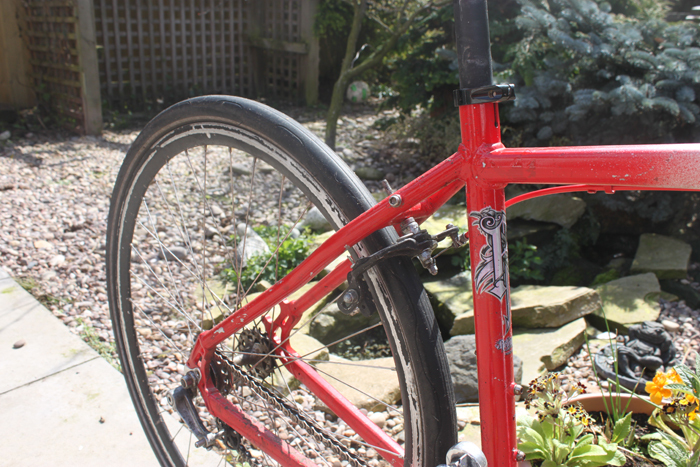 I borrowed Asim’s Birmingham Bike Foundry-built bike over the winter as he was out of action due to a bus collision and this helped me to make the transition from fixed to free. I don’t have the money to pay a Peruvian to build me a custom frame, so it was a case of getting hold of a cheap mtb frame and finding/borrowing the rest. This bike was created as an introduction to free-wheel polo, a stop-gap before I buy myself some super custom frame and in fact I don’t even like it very much. It does however handle well, weigh less than any other polo bike I’ve had and only cost about £80.